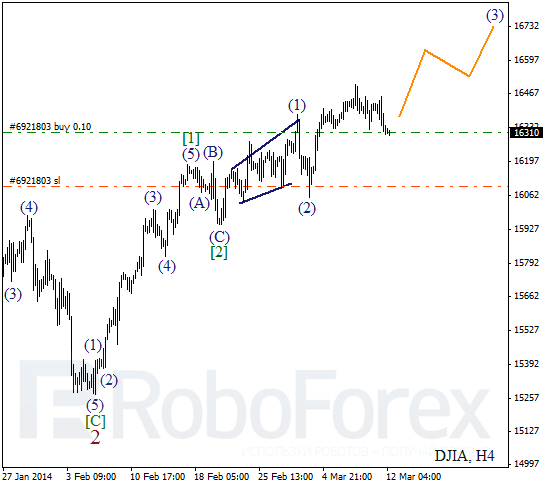 In case of Index, main trend is still bullish despite slight correction. Possibly, in the nearest future may continue forming extension inside the third wave. Critical level here is minimum of wave (2). As we can see at the H1 chart, after completing zigzag pattern inside wave (2), Index formed initial impulse inside the first wave on minor wave level. Current chart structure implies that pair may have already finished local correction. I’ll increase my long position as soon as price starts new ascending movement. 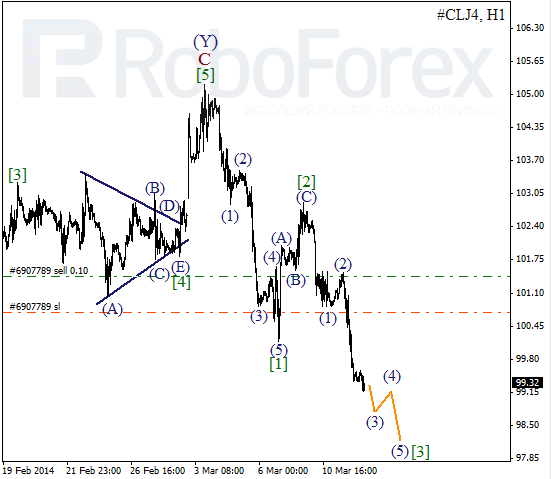 Oil is falling down; bears have already broken minimum of the first wave. It looks like right now price is forming the third wave. Stop on my buy order is already in the black; I’m planning to increase my position during correction. More detailed wave structure is shown on H1 chart. 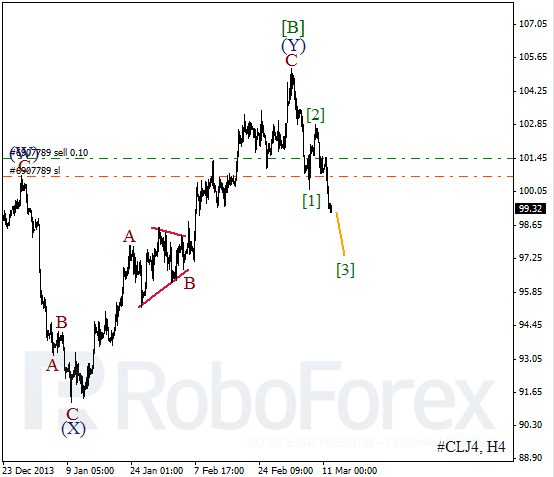 After completing short impulse inside wave (C) of , Oil started falling down inside the third one. 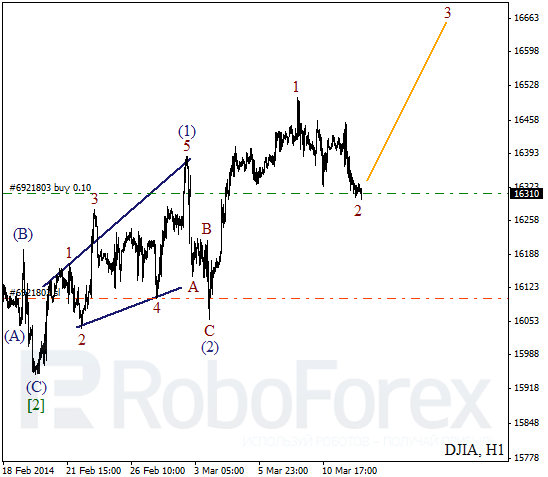 In the nearest future, price is expected to finish wave (3) and start local correction.